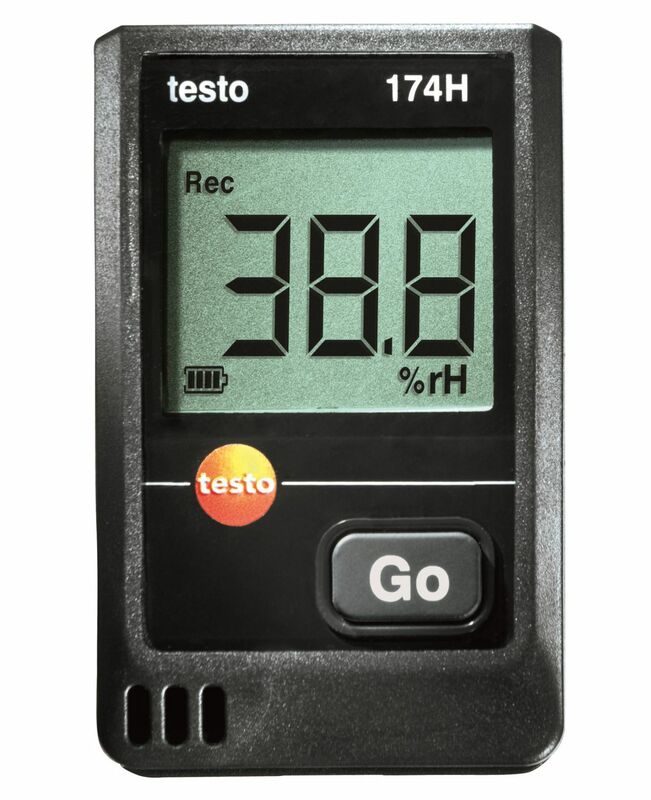 The handy testo 610 thermo-hygrometer proves to be an excellent measuring instrument when it comes to fast, precise measurement of temperature and humidity in indoor areas. 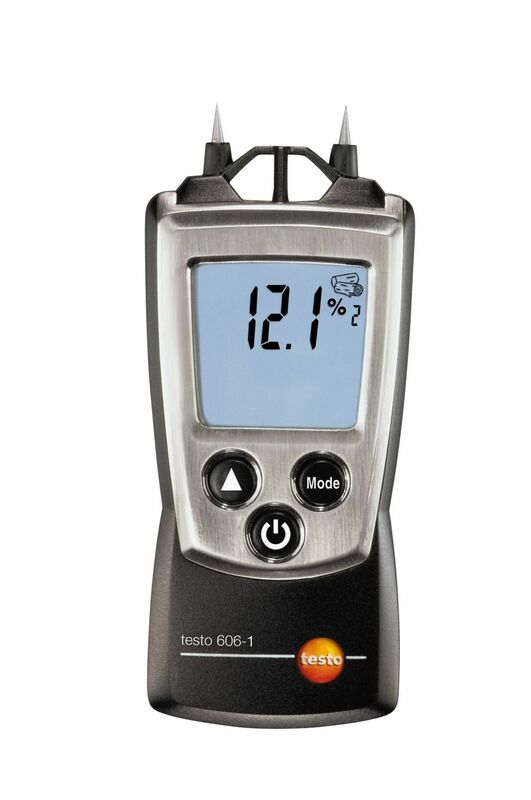 In addition, the compact instrument also calculates the dew point and the wet bulb temperature as well. 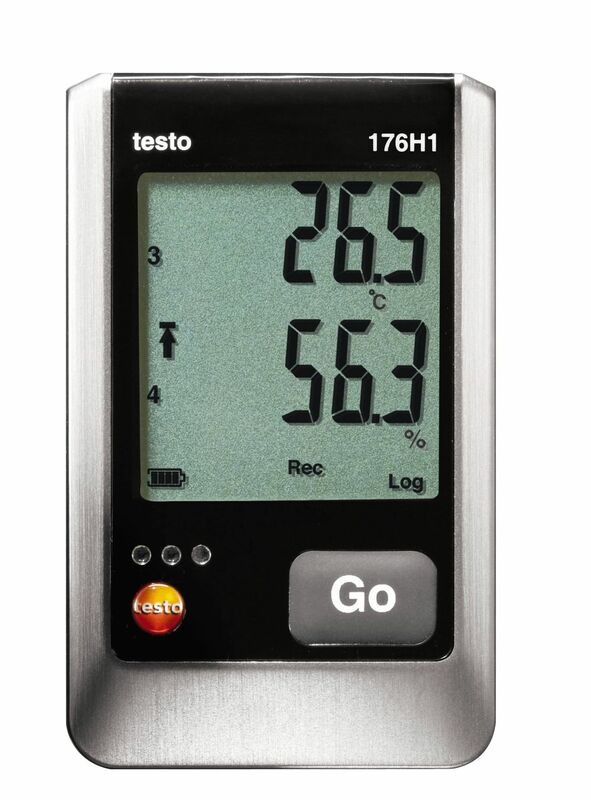 The testo 610 thermo-hygrometer enables fast and precise measurement of temperature and humidity in indoor areas, for example in offices, warehouses, production facilities or server rooms. 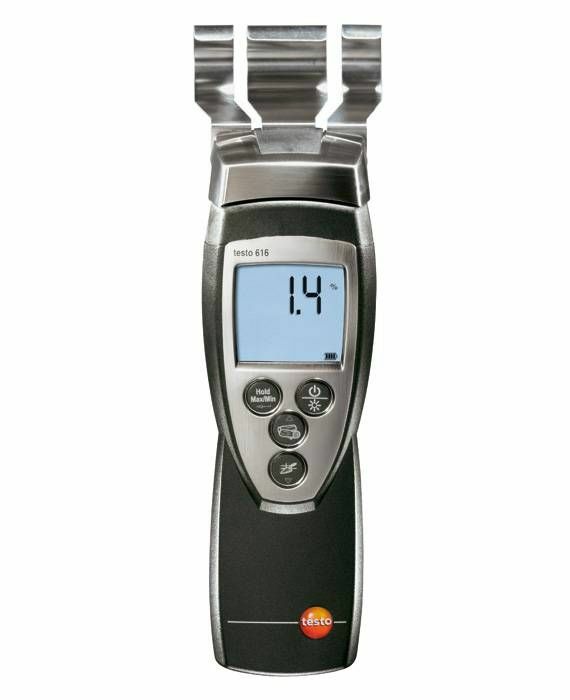 Furthermore, the user-friendly measuring instrument can calculate both dew point and wet bulb temperature for you. 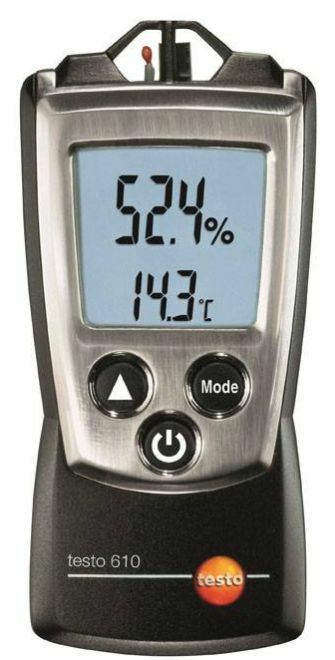 Both values serves as important factors in terms of assessing the indoor climate as they enable you to conclude the relationship between temperature and humidity. 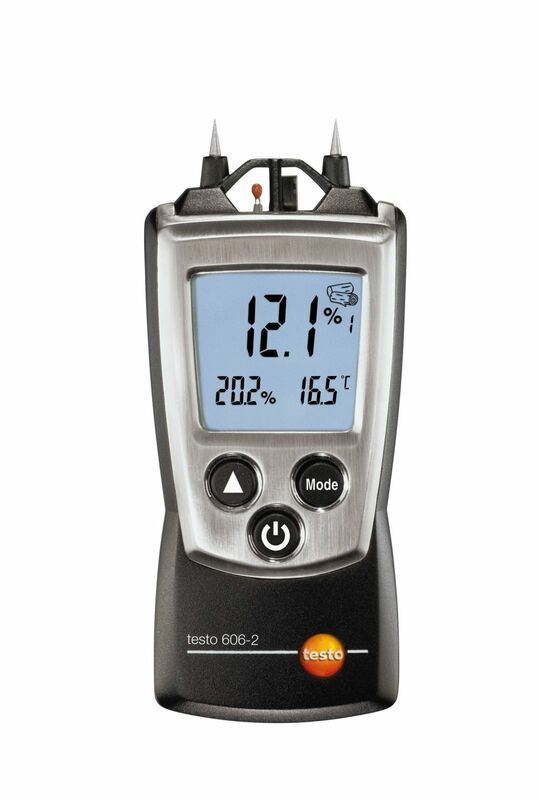 With its built-in NTC temperature sensor, the testo 610 thermo-hygrometer offers great accuracy when it comes to temperature measurement. 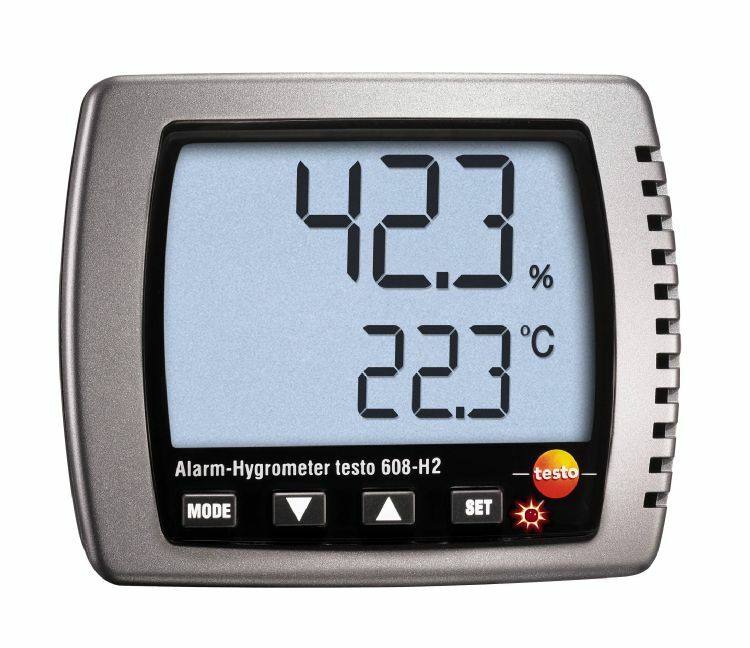 The thermo-hygrometer measures humidity using its capacitive humidity sensor which is characterized by its long-term stability. 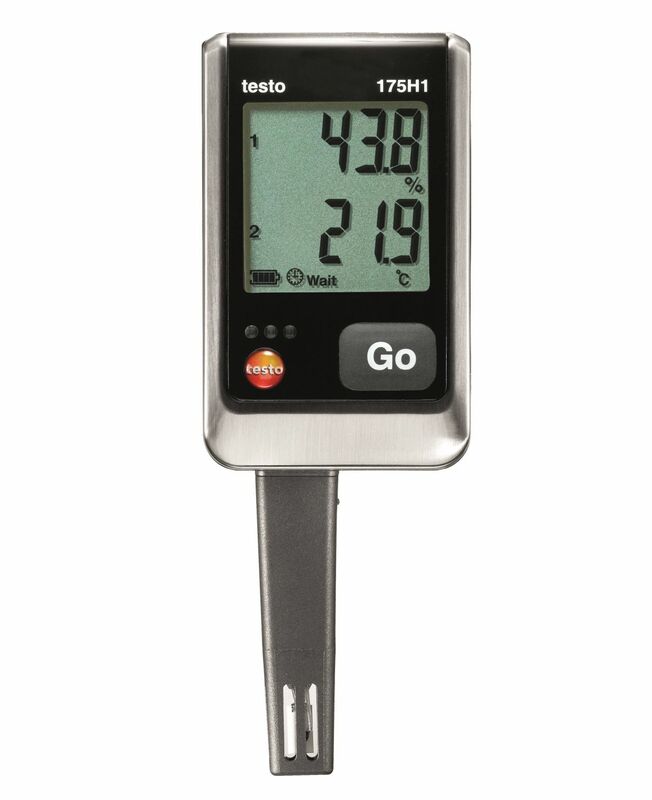 The two sensors make the testo 610 a reliable and durable thermo-hygrometer. 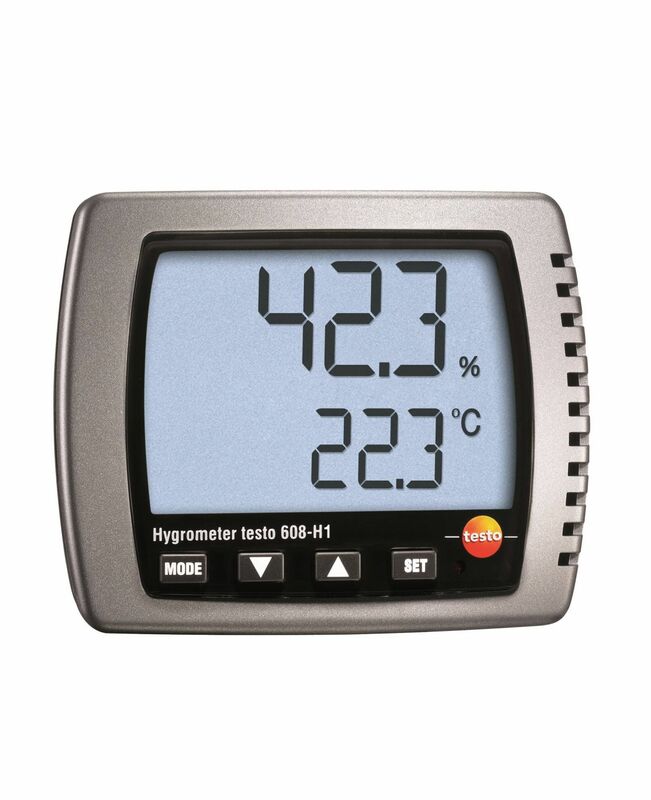 The thermo-hygrometer is easy to use: the current temperature and humidity values are easily legible on the illuminated display. In addition, you can display the calculated dew point and wet bulb temperature, as well as min./max. values. 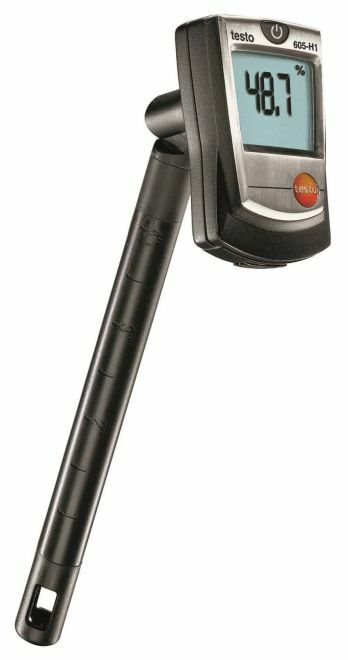 With its clip-on protective cap, wrist strap and belt pouch, the handy thermo-hygrometer can be safely stored and easily taken along to any measuring location. 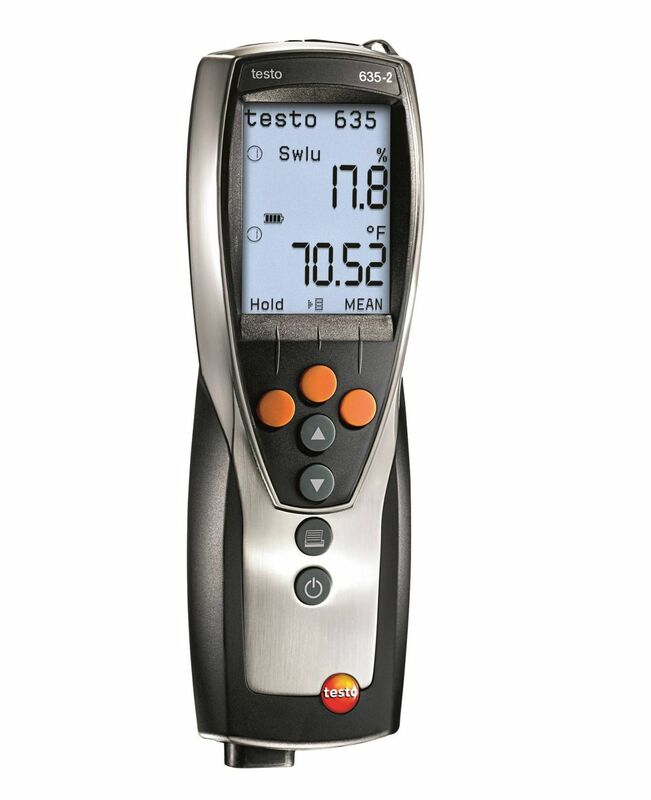 Testo 610 thermo-hygrometer, including protective cap, calibration protocol, belt pouch and batteries.